If you asked me to choose between a baked potato and some baked french fries, I’d have a really hard time coming up with an answers. (Okay, I’d probably pick the fries). But thanks to a little technique called “hasselback” you never have to make that choice again. This is awesome. It’s a game changer. And you may just want to skip the mashed potatoes this year for this simple starchy side that delivers the comfort of mushy potatoes and crispy skin, all at the same time. 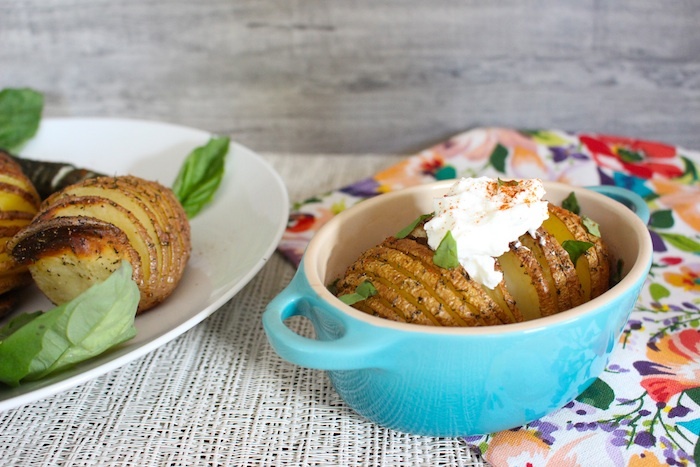 To make a hasselback potatoes, you simply make cuts along the “back” of the potato, almost to the bottom. And you can place two chopsticks on either side of the spud to ensure you don’t cut all the way through. 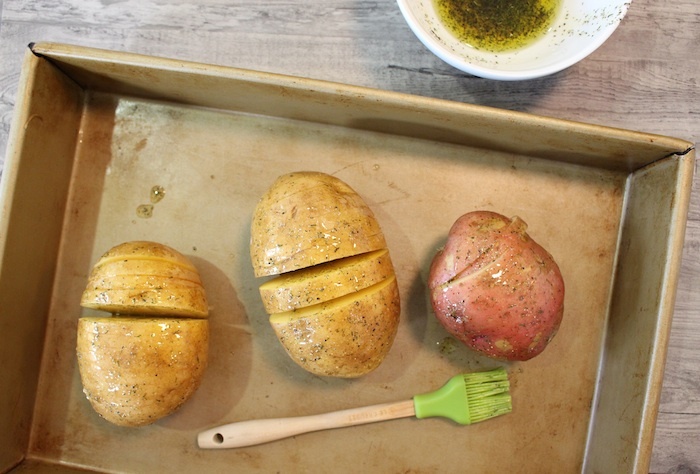 Preheat the oven to 375dg F. Smother the potato with olive oil, which you can always spike with herbs. And then set it in the oven to bake for 45 to an hour until the potato slices have bloomed and become crispy on the outside. Like a beautiful baked potato french fry flower. But here’s where hasselbacking gets really fun. It’s not just for potatoes (which is a great thing for those on a kidney friendly diet). You can use it for zucchini, squash, yams, turnips, radishes, and eggplant. 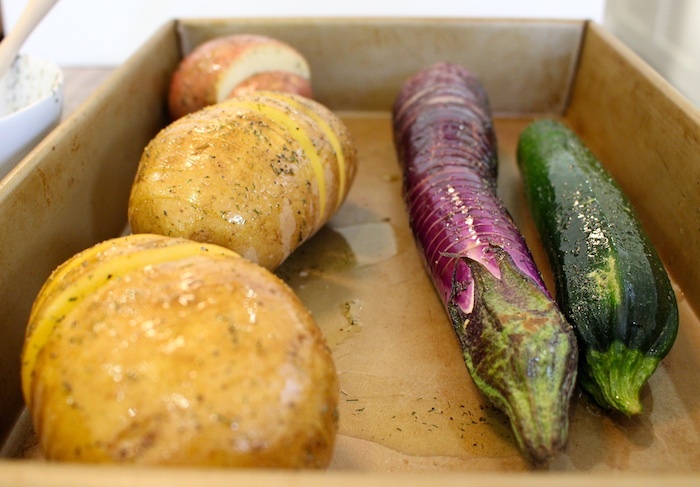 And while these substitutes won’t get as crispy as the potato skin, they will definitely make that simple plate of roasted vegetables look super special. Not to mention a huge dose of health and beauty to your holiday table. Or your Sunday football spread. Or that last minute brunch. 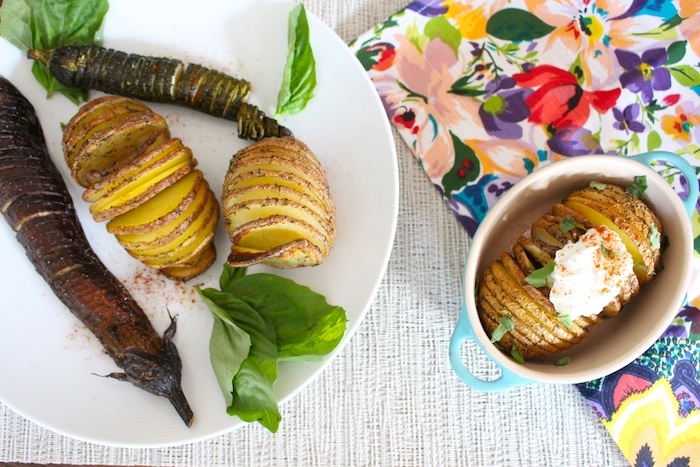 So whatever the occasion, or the time of day, or the vegetable, give hasselback a try. I love this! It’s a beautiful presentation and I can’t wait to give it a try. 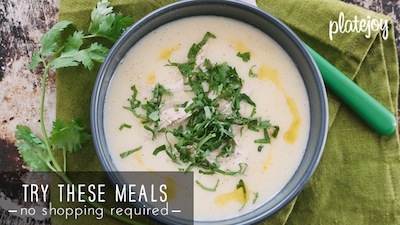 This recipe seems easy, tasty, and quick. I think I’ll give this a try tonight at my house. I’m always looking for new ways to prepare potatoes. I’ve made these potatoes before and I was a huge fan except I had trouble with accidentally slicing all the way through the potato but I think next time I’ll try out your chopsticks method. That little blue dish you have there is absolutely perfect for this dish or any small individual sized bake. Where did you get them? These look so good! What a pretty presentation as well. Do you allow the veggies to cook as long as the potatoes do? What is the potassium count of Hasselbacks? 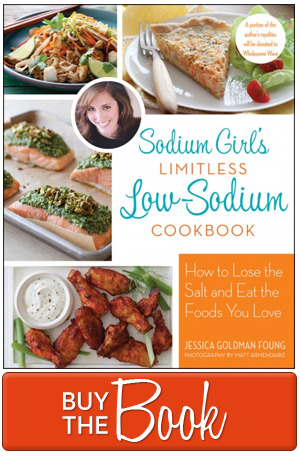 My husband needs low potassium as well – I’ve heard that baking the potatoes does not leach out the potassium.